Results of a Multiple Imaging Method Evaluation of the Bioabsorbable Emerolimus-eluting Coronary Stent System (ABSORB). Late and Very Late Stent Thrombosis: Differences in Presentation and Outcome that are Germane to Management Decisions. Contemporary Strategies for the Prevention and Management of Stent Thrombosis. Patient Characteristics and PCI Strategies: How They Impinge on the Current Incidence of Coronary Restenosis. Post Stent Antithrombotic Management of the Patient on Oral Anticoagulation: Disentangling a Trouble-prone Situation. What Methods Have a Confirmed Efficacy for the Prevention of Contrast Induced Nephropathy? Design and Bioresorbable Characteristics of the Clinically Available Absorb Stent, Plus Expected Developments for the Near Future. Which Antiplatelet Therapy for Which Patient? Timing and Results of Invasive Management. How would I treat 2. 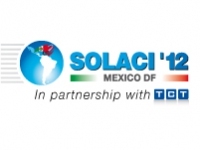 Interventional Cardiology in Latin America 20 Years After the Founding of SOLACI. Now that We Have Choices, which Antiplatelet Drug (and dosage) Is Preferred Prior to PCI in the Elective, the Ad Hoc and the ACS Patient? Bare Metal Stents: Will Their Lower Thrombosis Advantage over DES Vanish Against the CoCr-Everolimus Eluting Stents? Update on the Current Status of the Enduring Drug Eluting Stents. The 4th Revolution in Interventional Cardiology: from Metallic to Polymeric Devices. meriT-4 BioMime Vs Xience V & Meril FutureCardiovascular. Pipeline. Drug Eluting Balloon for the Side Branch in Provisional Stent Strategy: Rationale and Current Evidence. Bifurcation-Dedicated Stents: an Description of the Clinically Available Devices and of their Performance. Strategies for Switching Antiplatelet Treatment Regimens in the Setting of ACS, and Its Implications. Mechanical Thrombectomy with the AngioJet Device in AMI with a Glimpse of Other Described Applications. IVUS or FFR Guided in MV Disease and ACS? Epidemiologic Characteristics of Arterial Hypertension in Latin American Countries. Anatomy & Physiology of the Renal Sympathetic Nervous System and its Role in Blood Pressure Regulation and in Hypertension. Advances in Endovascular Repair of Aortoiliac Occlusive Disease. Sizing the Annulus: Understanding the New Challenges for Optimal Result. Efficacy of intracoronary IIb/IIIa inhibitor during primary PCI. Standard use or bailout only? Complications of Radial Access and Their Management. IVUS in Coronary Bifurcations: is it Underused? Grounds for Confidence: A Critical Analysis of the Outcomes of Cohorts A and B of the PARTNER Trial. TAVR and Atrioventricular Conduction Abnormalities: Incidence, Etiology, Predictors and Improvements. The Approved Use of Actual DES in Complex Subgroups: Diabetics, ISR, Bifurcation. Renal Denervation .The Results of the Simplycity Trials; Long Term Follow Up. The Role of DEB in Vessel Patency in BTK. Emerging Bioabsorbable Stent and Balloon Platforms: Are the days of metallic drug-eluting stents numbered? The Road to 1000 Implants in Latina America and a Glimpse into the Future. An Assortment of Technical Tips for LM Bifurcation Intervention. Left Main Disease Revascularization. The Position of New European and U.S. Guidelines and how it is Performed in Different Geographical Regions. CABG vs. PCI for LM Disease: do we Need a New Randomized Trial?. The Rationale for EXCEL Trial. Best DES for the Patient with Diabetes: Tough Call or Clear-Cut Decision? An Answer Based on Recent Randomized Trials Results. A Rational Approach to Stent Selection in Patients with STEMI.